Sticky Club is currently only available in South Island stores. 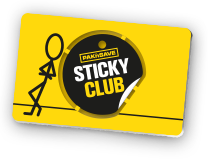 Join Sticky Club to collect fuel savings every time you shop at PAK’nSAVE and save up to 35 cents-per-litre at the pumps. 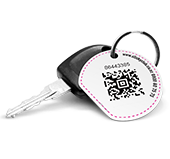 Simply scan your Sticky Club tag to earn 1 cent off per litre of fuel for every $20* you spend in a single transaction. Plus, you can accelerate your fuel savings by purchasing specially marked products in-store or by pooling your fuel savings with others in your household. ** Offer valid from Thusday 18th April – Sunday 30th June 2019. 10 cents per litre voucher does not accumulate. 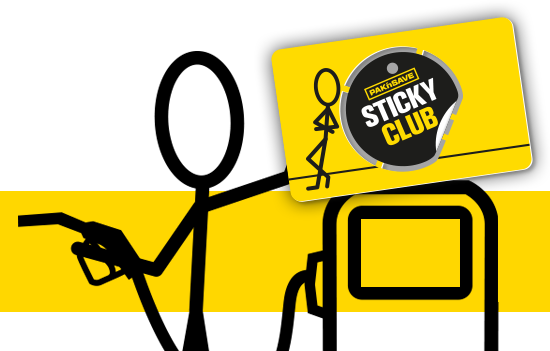 Sticky Club members still accumulate 1 cent per litre on every $20 spent in a single transaction. This voucher will not be printed if you qualify for a higher value voucher. Sticky Club fuel savings cannot be used in conjunction with standard fuel vouchers. Your Sticky Club account has been closed. You won’t be able to log in, but you can always re-join.